A firewall can either be software-based or hardware-based and is used to help keep a network secure. Its primary objective is to control the incoming and outgoing network traffic by analyzing the data packets and determining whether it should be allowed through or not, based on a predetermined rule set. A network’s firewall builds a bridge between the internal network or computer it protects, upon securing that the other network is secure and trusted, usually an external (inter)network, such as the Internet, that is not assumed to be secure and trusted. Network layer firewalls, also called packet filters, operate at a relatively low level of the TCP/IPprotocol stack, not allowing packets to pass through the firewall unless they match the established rule set. The firewall administrator may define the rules; or default rules may apply. The term “packet filter” originated in the context of BSDoperating systems. Firewalls can automatically block most email viruses and malware attacks even before they start. Firewalls can be set up to allow access for certain users to access certain information but prevent others from doing so. Firewalls can also calculate usage of the internet, i.e. who spends most time using the internet and how this affects the performance of the network. Some firewalls can cause constraints or bottlenecks on the network as they concentrate security in one area. Organisations need to have a written policy or procedure that outlines what information can be accessed by employees and by whom. A firewall can be used to enforce these policies. Palo Alto Networks, Inc. has pioneered the next generation of network security with an innovative platform that allows you to secure your network and safely enable an increasingly complex and rapidly growing number of applications. At the core of this platform is the next-generation firewall, which delivers visibility and control over applications, users, and content within the firewall using a highly optimised hardware and software architecture. environments where consistent, scalable performance is required. Predictable performance: ASIC-based architecture provides linear performance for all packet sizes at multi-gigabit speeds. System and network resiliency: Hardware component redundancy, multiple high availability options and route based VPNs offer reliability and resiliency. 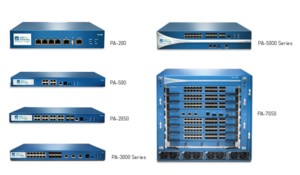 Network security: The SRX Series provides embedded Web filtering, anti-spam, IPS, ICAP antivirus redirect, and optionally integrated IDP. Certifications: The SRXSeries fulfills the requirement for FIPS, common criteria, ICSA, and others. Dell SonicWALL security solutions enable organizations to secure their network, systems, users and data without compromising network performance. 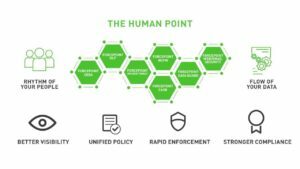 Forcepoint Next Generation Firewall (NGFW) combines fast, flexible networking (SD-WAN and LAN) with industry-leading security to connect and protect people and the data they use throughout diverse, evolving enterprise networks. 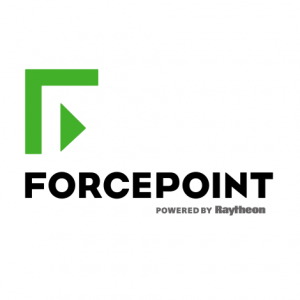 Forcepoint NGFW provides consistent security, performance and operations across physical, virtual and cloud systems. It’s designed from the ground up for high availability and scalability, as well as centralized management with full 360° visibility.